A graduation ceremony was held Friday at 1 p.m. at the Cleveland City Hall for the first Cleveland Division of Fire class of 2019. 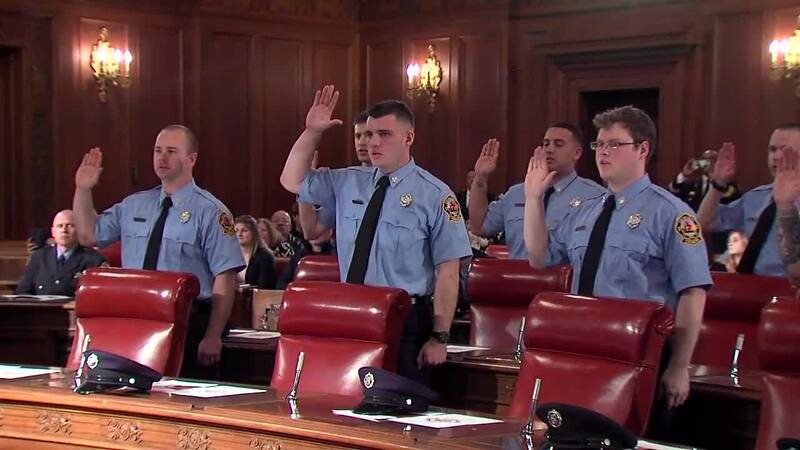 CLEVELAND — A graduation ceremony was held Friday at 1 p.m. at the Cleveland City Hall for the first Cleveland Division of Fire class of 2019. Nineteen cadets from the 34th Fire Training Academy Class will take the oath of office. The ceremony will be hosted by Cleveland Mayor Frank Jackson, Council President Kevin Kelley (Ward 13), Councilman Matt Zone (Ward 15), Safety Director Michael McGrath and Chief of Fire Angelo Calvillo. Watch full video of the ceremony in the video player above.